Most diets tell you what to eat. Others, including the Warrior Diet, tell you when to eat. Similar to the principles of intermittent fasting, the Warrior Diet encourages eating a very small amount of food for 20 hours out of the day and eating a significant amount of food — some might call it binging — during a four-hour period. The diet was created by former Israeli Special Forces member Ori Hofmekler, who first published the book, The Warrior Diet, in 2002. It's based on patterns of eating by warriors during ancient Greek and Roman times. The Warrior Diet generally follows the principles of intermittent fasting, an eating plan that allows for food consumption during a certain number of hours a day with limited or no food during the rest of the day. Common plans include fasting for 16 hours and eating for 8 hours or eating 500 to 600 calories on two non-consecutive days or the week and eating normally on the other five days. The Warrior Diet prescribes fasting for 20 hours during the day and eating for 4 hours in the evening. A 2015 study published in the International Journal of Obesity concluded that intermittent fasting is an option for both weight loss and weight maintenance. Additionally, a 2014 a review published in Translational Research found that intermittent fasting can reduce insulin resistance and lower blood sugar and fasting insulin levels, helping protect against type 2 diabetes. During the four-hour eating window, you can eat much more food — this is the "overeating" portion of the day. 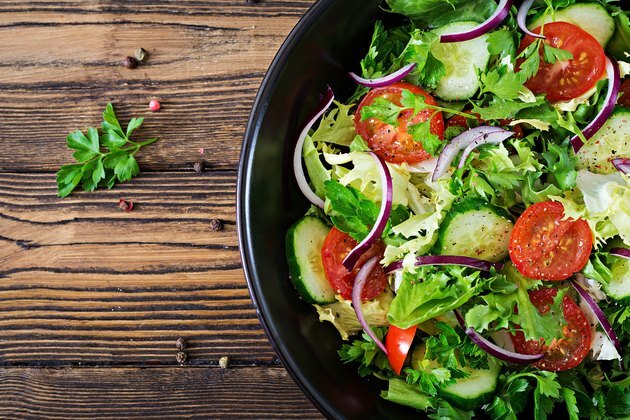 You should always eat a salad with oil and vinegar dressing, and then you can eat one large meal or multiple smaller meals of plant-based proteins such as beans, wheat-free whole grains such as rice or oats, cooked vegetables and small amounts of cheese. Throughout the day, you can drink coffee, tea and water, including sparkling water, as well as small amounts of milk. During both phases of the day, avoid certain foods and beverages like processed meats such as hot dogs or bacon, refined carbohydrates, fruit juice, candy, chips and anything that contains artificial sweeteners. Intermittent fasting can be difficult for some people when starting the plan, particularly if they're used to eating a lot throughout the day. Instead of jumping in feet first, consider gradually easing into the Warrior Diet by removing one meal each day and getting used to eating less during the majority of the day. The third phase during week three is called "Concluding Fat Loss," and it calls for alternating between high-carb and low-carb, high-protein days. Start with one to two days that are high in carbs, then follow it with one to two days that are high in protein and low in carbs. Repeat that cycle twice. Like during phase two, you eat the same foods during the undereating part of the day. During your four-hour window of eating on high-carb days, include cooked vegetables and one type of complex carbohydrate such as oats, pasta, potatoes or corn, as well as the salad with oil and vinegar dressing. You can also include a small amount of animal protein. During the overeating portion of your low-carb, high-protein days, eat a salad with oil and vinegar dressing and 8 to 16 ounces of animal protein with cooked, non-starchy vegetables. You can also have a little bit of fresh tropical fruit for dessert. Once you have gone through the first three weeks of the diet, you can move to simply eating low-calorie foods for 20 hours and high-protein, nutrient-rich foods for four hours each day. Don't count calories. One of the benefits of intermittent fasting eating plans such as the Warrior Diet is that you don't need to count calories, carbs or any other nutritional details if you're following the suggested plan. Do avoid processed food. Instead, focus on eating whole, natural foods, including a salad every day. Don't skimp on water. 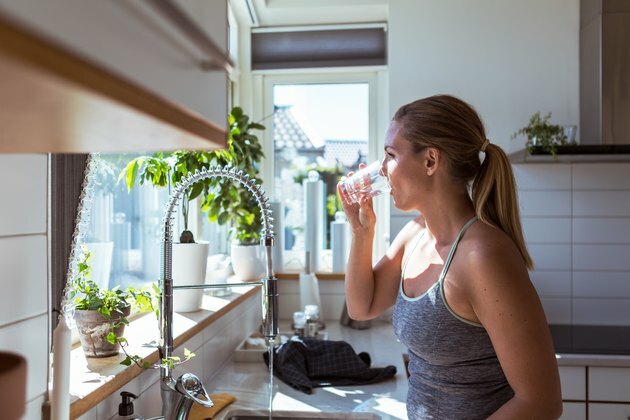 Water not only offers a number of health benefits, but it can also help you feel fuller during the hours that you're not eating. Do eat a varied diet. In order to get the nutrients that your body needs for optimal health, eat a wide variety of food during the four-hour eating time. This includes brightly colored fruits and vegetables, as well as multiple types of animal proteins and grains. Don't follow the diet if you have disordered eating issues. The Warrior Diet places an emphasize on overeating during the prescribed four-hour period, as well as controlling eating during the rest of the day. For some, this could lead to disordered eating, feelings of shame and binging and purging. Do take a multivitamin. While you should be eating a varied diet to ensure to ensure you get all the necessary micronutrients, a daily multivitamin serves as an insurance policy. Read more: What Can I Drink When Doing Intermittent Fasting? This type of eating plan may have its benefits, but it's not perfect. When you start the diet, you could feel side effects such as dizziness, low energy, low blood sugar, irritability and hunger as you acclimate to this type of split-day eating. There could also be slightly more significant side effects, such as fainting, hormonal imbalances and insomnia. Like when starting other types of diets, it's a good idea to talk to a health care professional first. Additionally, although intermittent fasting has some research behind it, the Warrior Diet isn't based on any scientific research. This is readily admitted by Hofmekler in a late-1990s interview with T-Nation. Aaptiv: What Is the Warrior Diet and Is It Right for Me? International Journal of Obesity: Fasting for weight loss: an effective strategy or latest dieting trend? 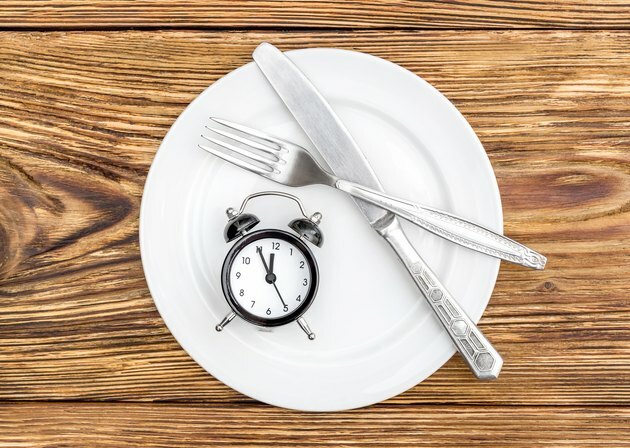 UW Medicine: Is Intermittent Fasting Healthy or Just a Fad Diet?